eLearning can be intimidating to many because it requires us to adapt and change to a new way of teaching and learning. Change is tough. We want progress, but not change. eLearning requires us to change. 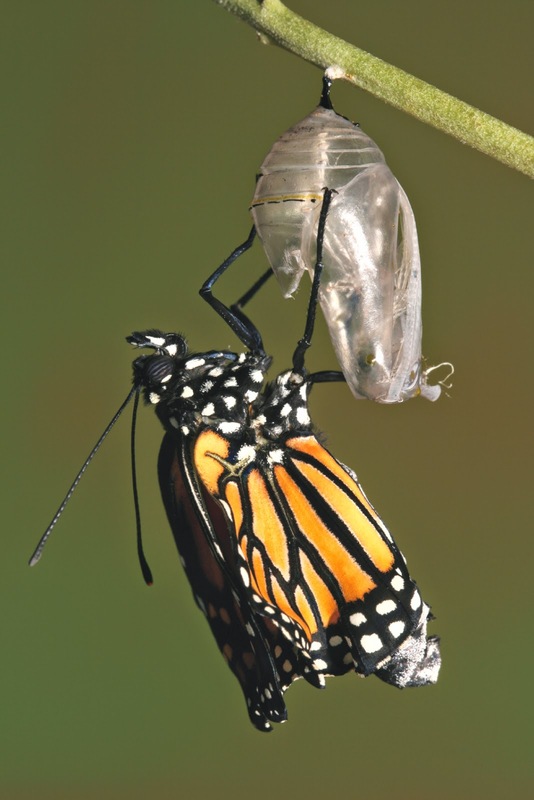 Change often arrives before growth. While eLearning may be regarded as a positive change, others may dispute that. What is not in dispute is the growth of eLearning. The Sloan Consortium has reported that over 7.1 million college students took an eLearning class in 2013. The Association for Talent Development (formerly American Society for Training and Development) indicates that 39% of the all training for employee in 2013 was technology-based delivery. While the growth of eLearning presents opportunities for some people, it presents many challenges for others. Most of these challenges center around the concept of change. As noted by Harvard business professor Rosabeth Moss Kanter, people resist change for a number of reasons. I have encountered a number of faculty members and trainers that simply hate eLearning. I believe that most of the issues relate to change. This may be true, especially at first. It takes time to learn anything. What many trainers and faculty members realize is that eLearning makes you rethink your whole approach to teaching and learning. You simply can’t lecture. Effective eLearning means that you have to redesign your course. Additionally, it may mean that you will need to learn some new technology tools. Yes, this may be true as well. Remember the first time you tried to ride a bike? You probably weren’t very successful. Now you ride a bike without even thinking about it. I remember teaching my first online course. It certainly wasn’t the best course I’ve ever taught. What I realized was that investing the time in learning online teaching skills was worth it. There are some bad courses out there. This includes both eLearning courses, as well as in-person courses. To generalize that the quality of eLearning is inferior is a false assumption. Usually when I hear this argument it really is a diversionary tactic. The real issue is that some people fear they would not be good online teachers. The “poor quality argument” is an attempt to throw people off track, rather than addressing their real issues. Some faculty and/or trainers feel that they may lose their job if they have to teach or train online. I think it is rare that organizations force someone to teach online in a “sink or swim” situation. Most organizations offer training and opportunities for trainers/faculty to shadow some classes. Additionally, they can co-teach with an experienced faculty member before they teach an online class solo. This is a legitimate concern. eLearning relies on technology. Online learning is not for every teacher/trainer, nor is it for every student. Some people who say this have not given eLearning an honest attempt, or they didn’t receive proper training. It is amazing that when technology benefits an employee, they can learn it pretty quickly (e.g. telecommuting). Since minimum levels of technology skills are now required by many employers, I don’t think that it is unreasonable for organizations to ask trainers or faculty to teach online. eLearning is not going away anytime soon. Learning professionals can choose to accept it or reject it. Given the growth of eLearning, I believe the wise choice is to embrace it. Choosing otherwise will limit your career opportunities.